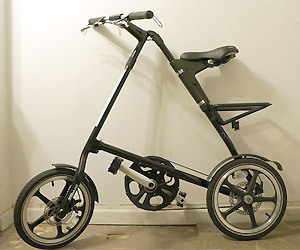 There are many fold-able bikes but Strida 16″ LT fold-able bike is the best of the lot. You can open or fold this bike quickly within 10 seconds. Great way for quick commute in busy city traffic. You can zoom away quickly to permitted areas like: subway or bus while others remain stuck in their cars.